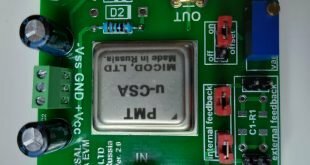 We describe, in this post, the use of a MMIC device (Monolithic Microwave Integrated Circuit) as the front-end electronics for the amplification of the signals generated by a photomultiplier. This type of device has the advantage of offering a very wide bandwidth (up to 2 GHz in our case), low noise, and to have a very competitive price. With a band of 2 GHz you can faithfully amplify very short pulses, up to 10 ns, so as to preserve the original pulse timing . These devices are easily found on the online market and they are practically ready to be used, since they only require the connection of a power source. The “heart” of the amplifier is the MMIC (monolithic integrated amplifier as INA-02184 and INA-02186). 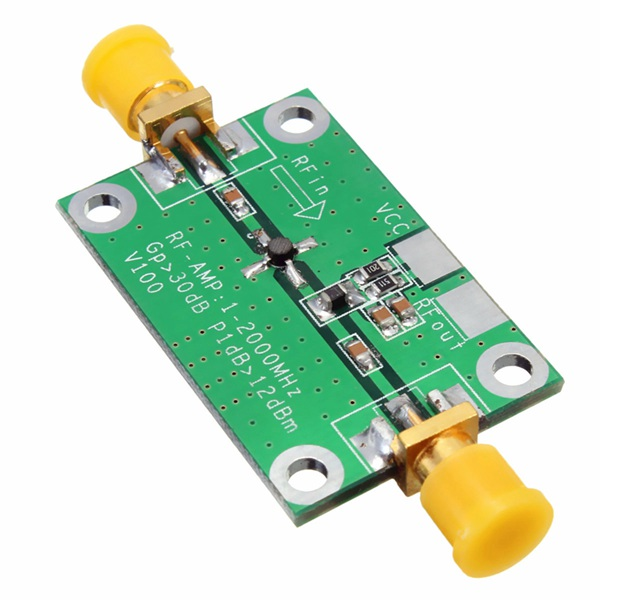 These devices are designed for applications requiring high-gain, broadband and low noise, such as the RF amplifier circuits. In the image below you can see the amplifier scheme. 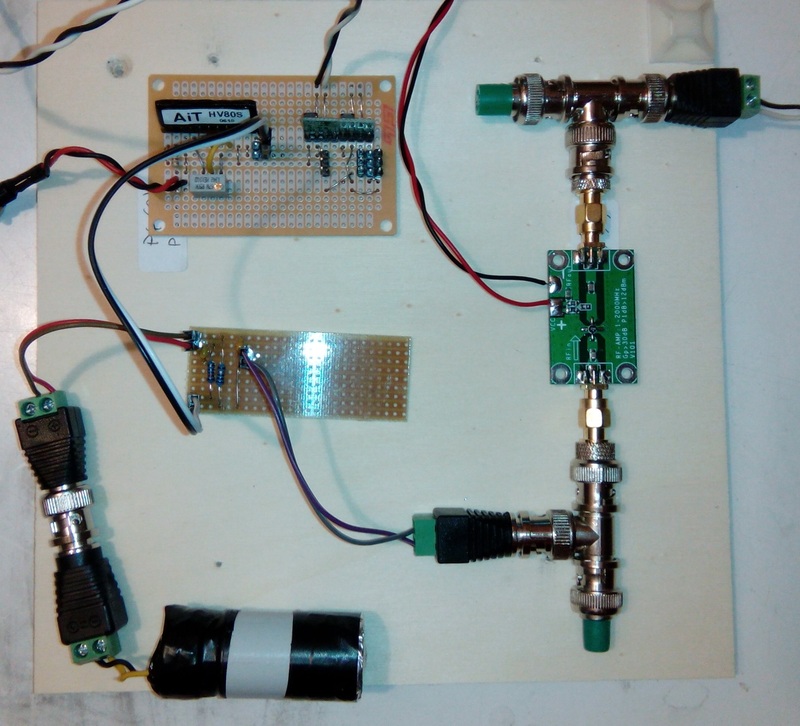 The broadband amplifier has been placed at the output of the detector, with a load resistance of 50Ω. Even at the amplifier output is placed a load resistance of 50Ω, in parallel to which the amplified signal is taken. The picture on the right shows the setup. 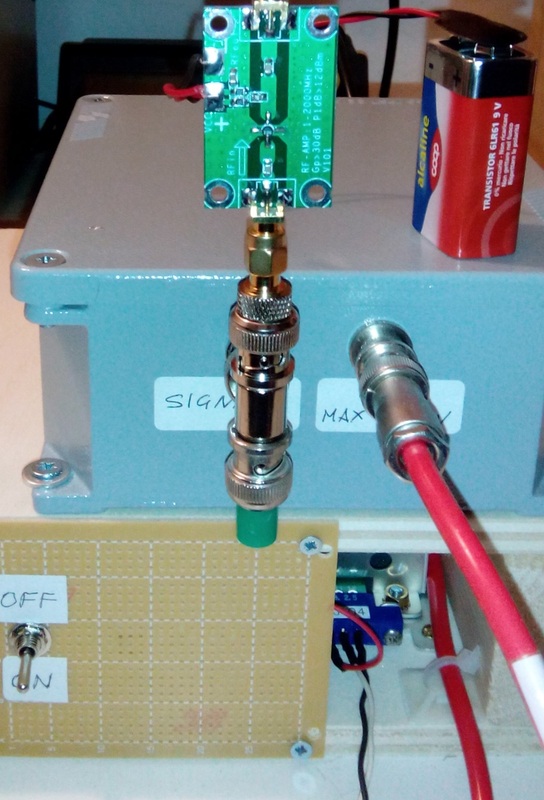 The signal before the amplification has very low amplitude, at the output an amplified pulse of about 30 dB is obtained with a low noise level and a duration equal to the original one. The tracks reported below show the signal before and after amplification. 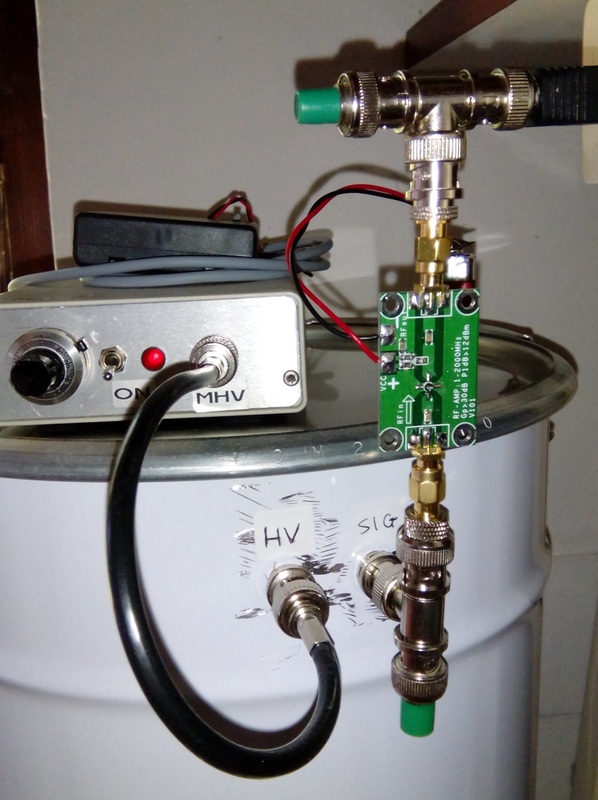 As for the Cherenkov detector, even for the photon counter the broadband amplifier has been placed at the output of the PMT, with a load resistance of 50Ω. 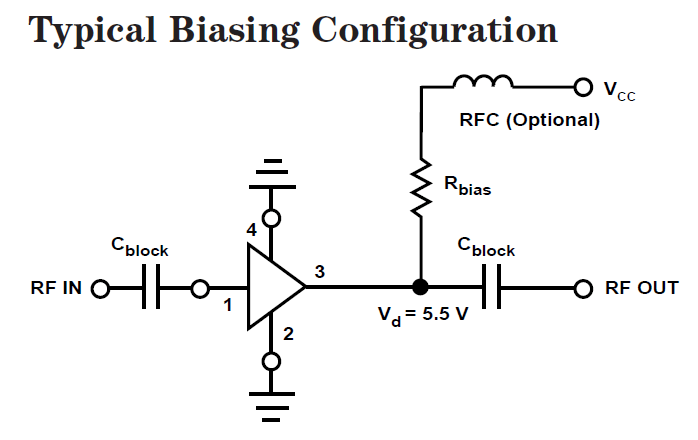 Even at the amplifier output is placed a load resistance of 50Ω, in parallel to which the amplified signal is taken. The image shown on the right shows the setup. The test with the SiPM has been done with the setup shown in the side image. Also in this case we have been used in input and output 50Ω load resistances. In the case of SiPMs the signal already has a non-negligible amplitude. In output we obtain a fine signal of nearly 1 V with a duration of less than 200 ns.